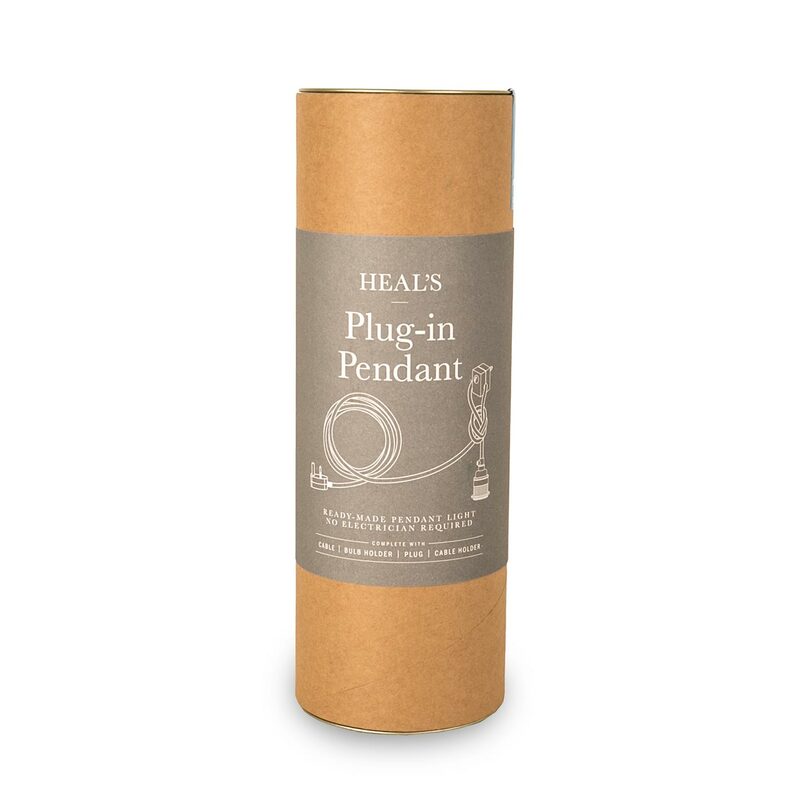 Requiring no messy wiring, this pendant simply plugs into wall sockets for immediate illuminations. Complete with an oak cable holder for ceiling mounting, the finely woven fabric flex comes in a choice of three colours providing a stylish hang for its industrial inspired light fitting. Each configuration comes with 5m of cable and features an E27 fitting (bulb not included). White Bakelite plug and oak cable holder.